What is the difference between an "A" or "T568A" and "B" or "T568B" wired Ethernet cable? In order to work properly, straight-through Ethernet cables must be terminated with the same pin configurations on either end. Two different wiring standards exist for wired Ethernet: T568A (A wiring) and T568B (B wiring). A and B wiring offer the same electrical properties and either standard can be used. StarTech.com uses the T568B wiring standard for all of the straight-through Ethernet cables. Note: For more information about the differences between straight-through and crossover Ethernet cables, refer to the following FAQ: http://www.startech.com/faq/network_cables_straight_through_vs_crossover. Different categories of UTP (Unshielded Twisted Pair) cabling were created for better performance in certain applications. As a general rule, the higher the category number, the higher the noise reduction and lower attenuation, and consequently the higher the bandwidth. For example, CAT6 can handle higher data rates at longer distances than CAT5 can. Newer categories have been added since the original revision to achieve these higher data rates. The most widely used cable for Ethernet is CAT5e, which is good for most gigabit Ethernet applications. 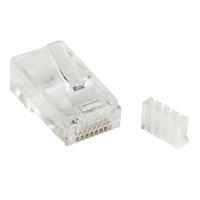 StarTech.com offers CAT5e, CAT6, and CAT6a Ethernet cables. Any cable type can be used in any application as long as it meets the transfer speeds required for the application. Note: The performance of any UTP cable is dependent on the length used and how the cable is terminated. What is the difference between a straight-through Ethernet cable, and a crossover Ethernet cable? Patch cables can come in two different wiring applications: straight-through and crossover. The type of cable that is required depends on the application. Straight-through Ethernet cables are the most commonly used. Crossover cables use two different wiring standards: one end uses the T568A wiring standard, and the other end uses the T568B wiring standard. To determine if you have a straight-through or crossover cable, compare the Ethernet cables to see if the colors are wired in the same order on each end. 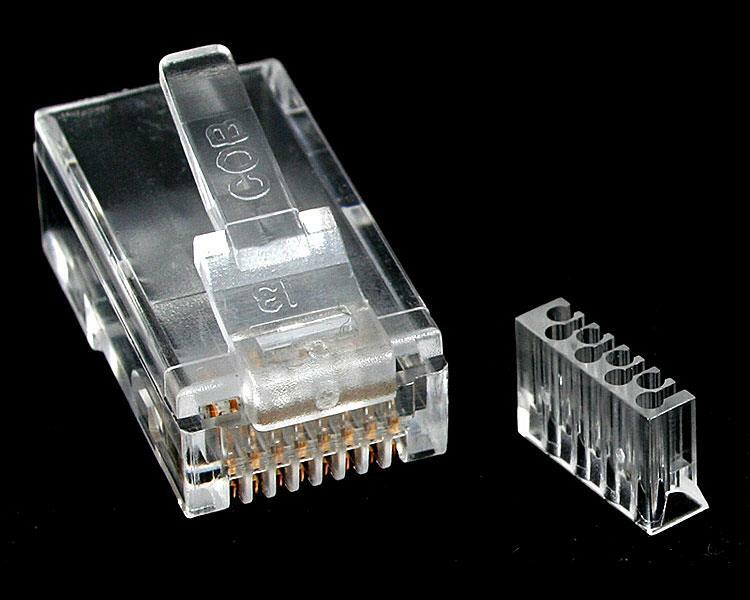 For more information on Ethernet wiring standards, refer to the following FAQ: http://www.startech.com/faq/network_cables_a_vs_b_pinout. Many modern network devices support Auto MDI-X, which automatically negotiates which wiring standard is required. For example, a computer with Auto MDI-X can use either a straight-through or crossover cable for any application. What is the difference between stranded and solid Ethernet cables? Stranded Ethernet cables are flexible and are often used as patch cables, short cables that are ideal for connecting a computer to a wall outlet or to a router. Solid Ethernet cables are rigid but have better signal strength. These cables are ideal for use behind walls and in longer cable runs.